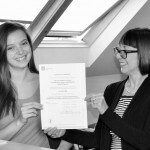 Zebra are delighted to announce that Judith Phillips, Languages Manager and Kinga Kawecka, in-house translator/proofreader have both passed their Institute of Translators and Interpreters (ITI) Examinations in German and Polish respectively. The exams were both in the medical fields relating to breast and paediatric cancers. Team Zebra wish all of our clients, colleagues, friends and associates, Seasons Greetings and a Happy, Healthy and Prosperous New Year. We all look forward to working with you in 2015. 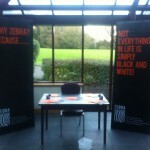 Zebra will be attending this year’s PIPA Conference and we look forward to meeting you all there. 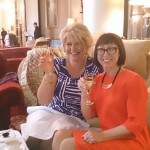 To celebrate 15 years in business, management and staff enjoyed an afternoon of Champagne and cream teas at Luton Hoo. A magnificent setting and a fitting location to enjoy the occasion. Jill and Lisa would like to raise their glasses and say “Cheers”, here’s to the next 15!